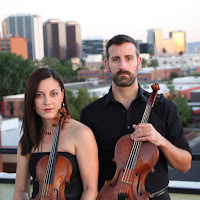 Please bring your lunch and join the Rio Salado College Honors Program for a special performance by Urban Nocturnes, a chamber group with the Phoenix Symphony. The group is made up violin, flute, and viola players. The free concert takes place Tuesday, April 17, from noon-1 p.m. in the Rio Salado Conference Center, 2323 W. 14th Street, Tempe. We hope to see you there!